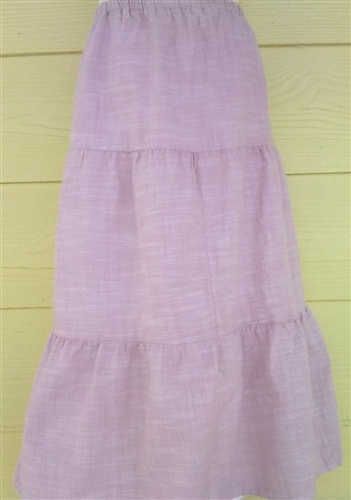 Tiered skirt in chambray with seams on the outside with white thread--a unique feature to give a different look! 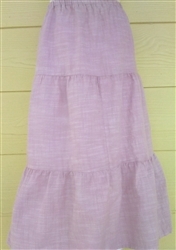 size M 8/10 girl, elastic measures 22 in. unstretched, length is 27 in.